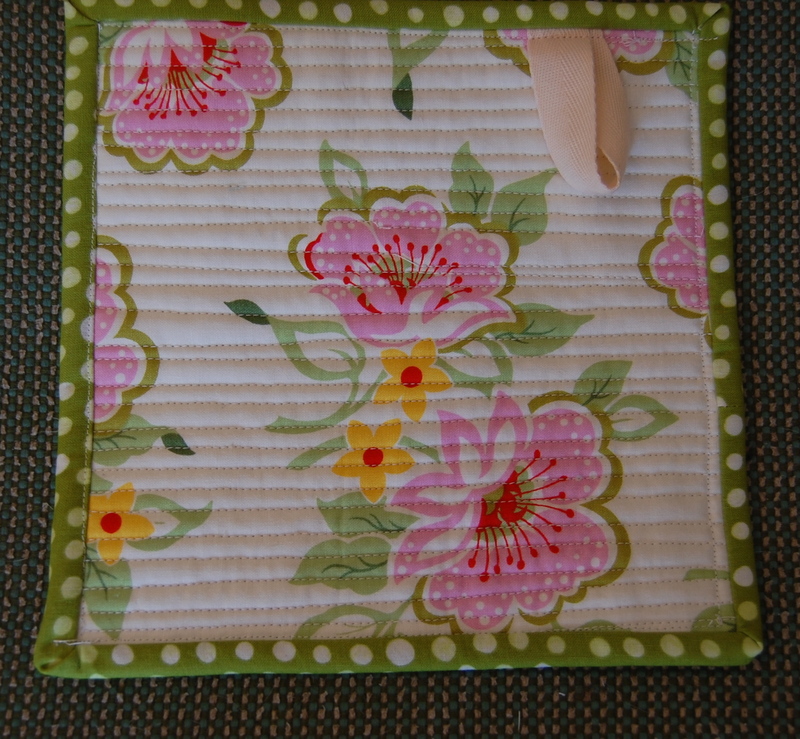 scrappy potholder, a photo by blooming poppies on Flickr. I’m trying to get started- yes I should actually be well underway- on teacher gifts for all three girls. 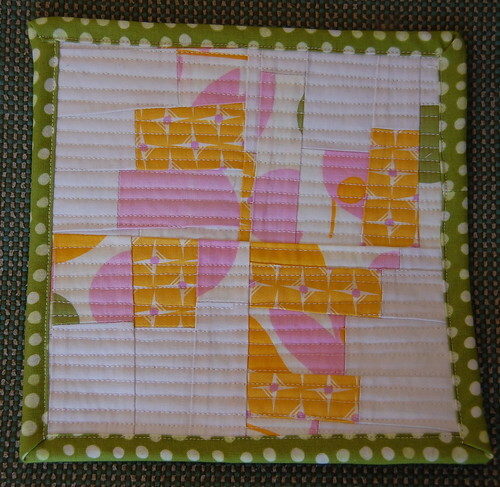 I found pre-sewn scraps left over from this doll quilt I made and donated to their school last year. 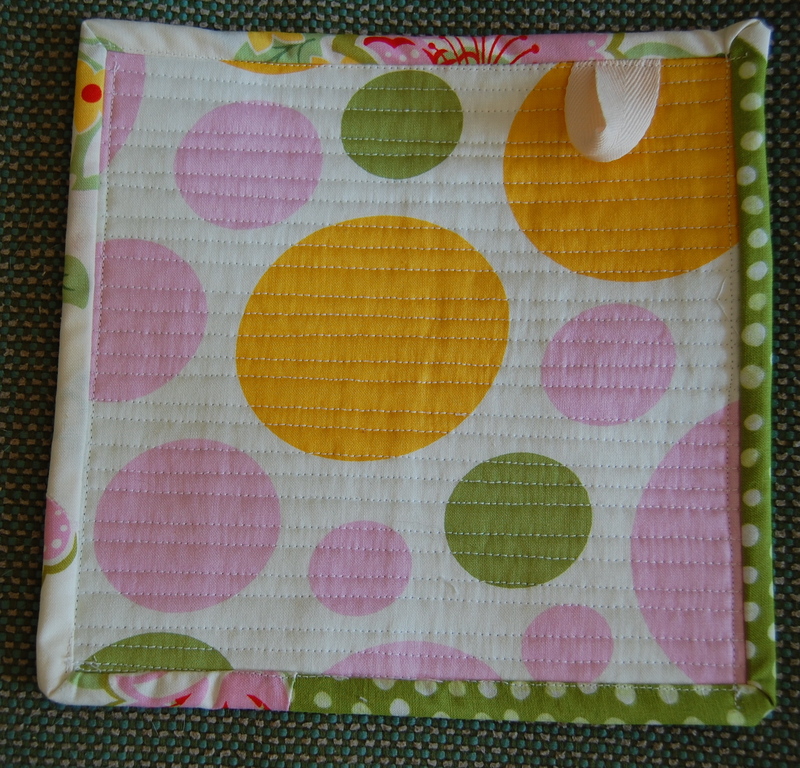 Since the two little ones do a lot of cooking in their classes, it made sense to make some pot holders, using this happy, and fun Nicey Jane from Heather Bailey. Miss K(with her Nutcracker-ready curls), who is showing quite an interest in sewing these days, got to practice her skills with the walking foot. 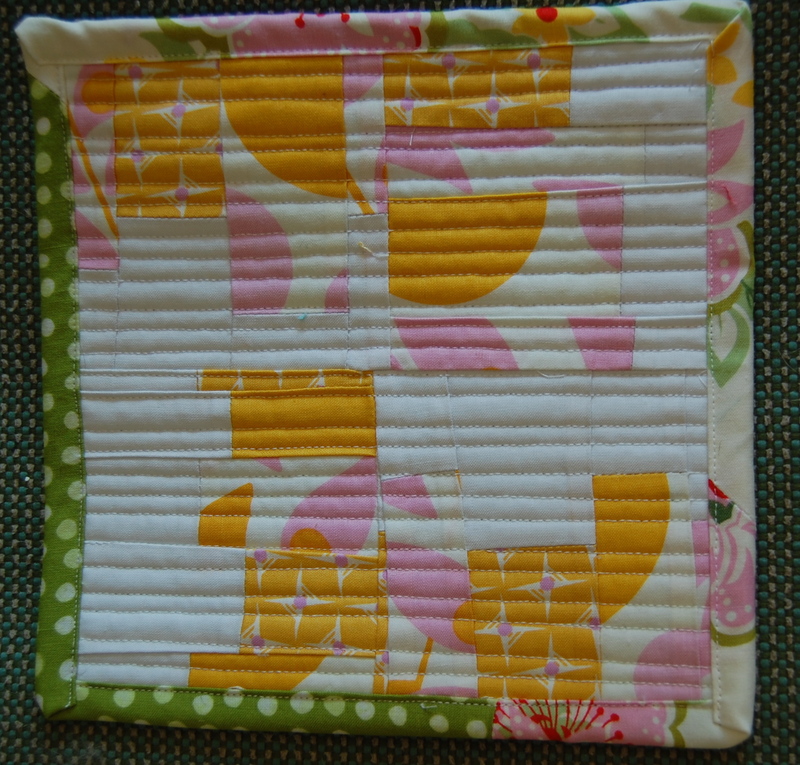 We just did some basic straight line quilting. She did so well, I think I’ll soon have an able assistant. 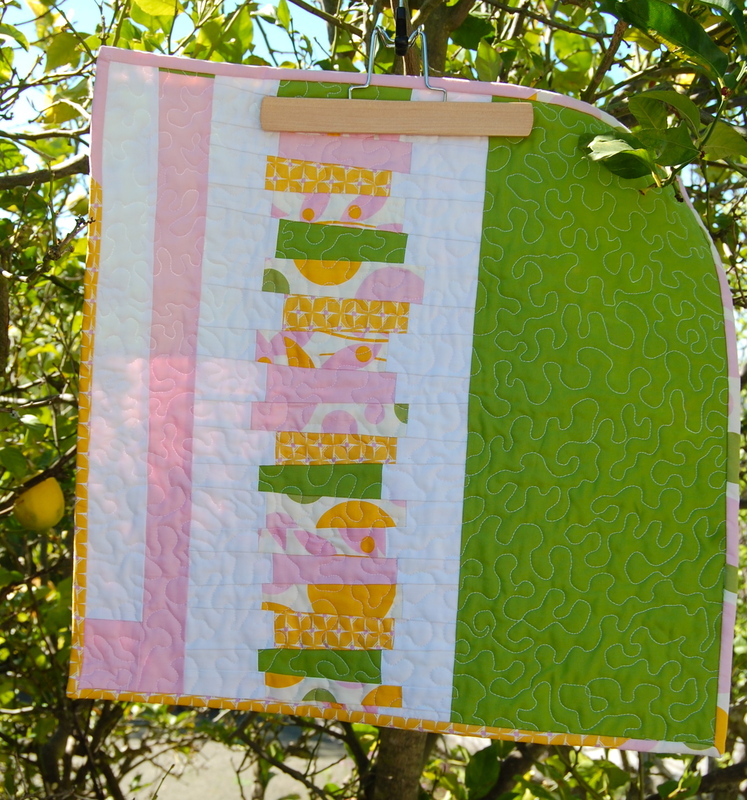 I just love another excuse to sew something quick and easy!!! 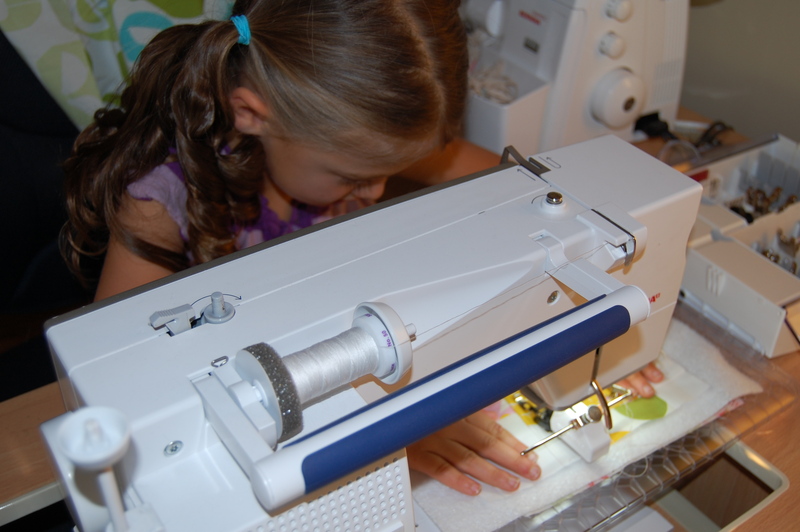 How is your gift sewing coming along?